Sometimes the most powerful writing isn’t so much about what’s said as what isn’t said. As a writer, it’s easy to become accustomed to peeking into random characters’ minds. One of the thrills of writing stems from the ability we authors have to be “all-knowing” within the scope of our story worlds. 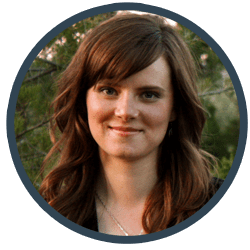 Unlike real life, where we sometimes (make that often) struggle to understand the opinions, emotions, and needs of those around us, in writing we have the power to understand everything. I know why my characters react in sometimes unexpected and seemingly irrational ways. I know their histories, and I know their futures. I never have to wonder why they think or act; I just know. How Much of Your Story’s Subtext Should You Share? As a storyteller, it is my job to share this omniscience of mine with the readers. After all, that’s why we read, right? To find out how and why the characters are going to react. And, indeed, that’s why I write: to share my characters’ experiences, emotions, and opinions with my readers in a way they can understand, commiserate with, and perhaps be empowered by. But does that mean I should spill everything I know? 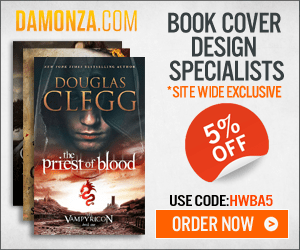 Beyond the obvious explanation that readers don’t want to know everything (who cares if the bad guy has an ingrown toenail or how the main character’s best friend happened to purchase his VW Bug? ), sometimes the secret to punching up a scene, adding layers of meaning, and accurately mimicking reality, is to leave out certain details. But that (surprise, surprise) is easier said that done. 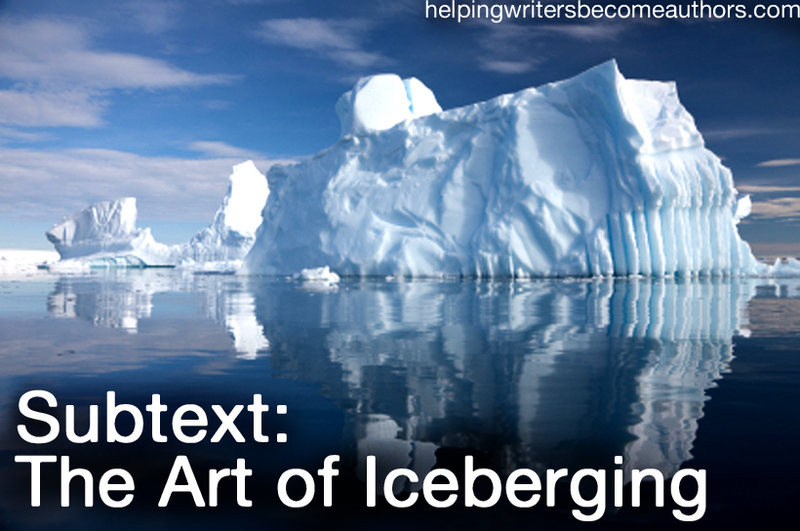 Hemingway was a master of the “iceberg principle.” He took the art of subtext to a level of his own, often expunging everything from his narratives but the bare bones and leaving the reader to glean all the facts from the characters’ actions and dialogue. Although not everyone appreciates Hemingway’s sparse style, he was able to create a vibrant sense of immediacy and, yes, reality in his stories. What Do Subtext and Subtlety Have in Common? For me, subtext and subtlety share more than just their first three letters. They are, in fact, interchangeable. If I find myself trying to create subtlety in a scene, what I am actually doing is working with the intricacies of subtext. And, if I consciously try to puff up my subtext, the not-so-subtle tool of subtlety becomes my chief utensil. In my fantasy Dreamlander, I struggled with subtext more than in perhaps any other work. From beginning, one of my POV characters, Allara Katadin, proved herself practically inaccessible to anyone—including me. An introvert who guarded her emotions behind a mask of ice (I privately referring to her as the “Ice Queen,” a title that actually ended up making its way into the story), hid her true feelings and fears even from herself, and rarely said more than was absolutely necessary—she refused to cooperate on the page. The scenes of other POV characters rattled out from beneath my fingertips in comparative effortlessness to the literal hours I spent glaring at the blinking cursor whenever it was Allara’s turn to speak up. She didn’t want to talk—not to me and not to the other characters—and when she did actually thaw herself out enough to venture a comment or two, her words were veiled. She rarely said what she meant; she skirted around sensitive subjects and refused to hash them out in the open. Naturally, all of this left me burbling under my breath and yanking at my hair. But as I continued to battle my way through her scenes, I began to notice something. Sometimes what Allara wasn’t saying became the focal point for entire scenes. As she and the other characters danced their way around her fears and her anger, surprising patterns began to emerge, and I began to see facets of Allara’s character that, although they had always been there, under the surface, I had never really noticed or understood. Her refusal to speak out demanded the necessity of some serious subtext for her scenes. She allowed me to layer details and subtlety (of both dialogue and action) into her scenes. She forced to me to be more creative and meticulous in showing her attitudes and opinions, rather than taking the easy route and sharing these things through dialogue or narrative. It took me all of half the book to fully understand this character, but she also taught me much about subtext. When I first began writing, I approached her as if the one-eighth of her character that protruded above the water was all there was. Little did I know that her true self lay submerged far below the surface. After a little diving (and much pulling out of my hair), what I found in this character was no less than the art of iceberging. Tell me your opinion: What aren’t your characters saying in your latest scene? My sweet, bald friend, I always learn something from you! Right now, Evelyn in Cat Lady is more like iceberg lettuce. I’m still pulling off leaves to get to the core. I thought I had her figured at one point, but she keeps getting away from me. Well, I don’t know that I’ve quite pulled out enough hair to be bald yet. Yes, I think plumbing characters is probably the greatest joy of fiction – even when it’s frustrating. Beautiful post! Sent here via G+ by MJ Bush. I have a character like Allara, frustrating, self-contained, un-emotive, subtle, impossible to write. I’ve struggled with him through a full draft-and-a-half and am finally beginning to get to know him. I think I’ll look again and see if there isn’t a lot under the surface that I’m missing. Thanks! Thanks for stopping by! I love strong and silent types. But they can be ridiculously difficult to write. If they’re silent to the world, sometimes they’re silent to us as well. And that means we have to do twice as much digging to figure out what these characters are really all about. Thank you for a good post. I have with me a couple of Allaras in my unpublished stories, but have brushed them aside as poky insignificant characters. You have shed a great deal of light on such characters and I realize now what is least written about is the most expressive. Allara has ended up being one of my favorites of all my characters. Sometimes that extra work to discover a character’s heart is absolutely worth it. I … don’t think I have a character like your Allara yet, though I have one that is rather hair-pulling in another way (but surprisingly alike when I think about it). My problem with him isn’t that he won’t talk – in fact he talks and talks and talks. But almost everything that comes out is nonsence, or flat on the surface. He won’t let anyone (me included) into the depths, but instead of withdrawing into silence he fills the space with flowery speeches that very seldom show the real him. And if I try to prod him he tend to explode and lash out in anger. I know there’s a lot of hurt under that surface, but so far I’ve not been able to pinpoint what the real problem is…. Characters who won’t talk and characters who talk without saying anything are really two sides of the same coin. If anything though, the characters who talk too much are easier to write. It’s always easier to dig under the surface if you have something to work with to begin with. I’m just the opposite: my “ice queen” character is the easiest for me to write – probably because I’m sort of repressed myself ;-). It’s my emotive character I keep stumbling over. I don’t know how to write an emotive character who doesn’t come off as either whiny, silly, or melodramatic. Her arc and her issues are the biggest obstacles I have for this book, and it’s making me crazy. I’ve been studying the Myers-Briggs personality typing system a lot lately. 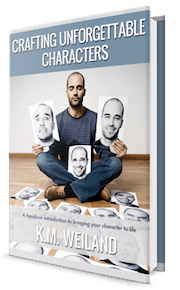 It’s a fabulous way to break down and study personalities that are very different from our own. One of the greatest problems I had with my continuing character, Erich von Schellendorf, was that as he grew more mature, as he carried more and more responsibility in the German army, he became more and more secretive. It is indeed difficult to express a character who does not express himself easily. I think I managed the subtext. But the reader probably has to pay close attention. How do we get the reader to pay attention? I THINK it’s by creating sympathy for a character of deep honour and troubled spirit. How do we do that? But I think I got it. Narrating characters inevitably require more “spelling out” than minor characters, whom readers are allowed to simply observe. When we’re in a character’s head we gain more clues and therefore more material with which to interpret his subtext. Right now, I’m trying to unearth a protagonist who’s struggling with hypocrisy partly because his identity has been defined by the people around him. For taciturn characters like my Aleksandr, would you suggest that I conduct more character interviews and experiment with free writing or plow through my 1st draft and discover him as I write? All three are good. What has worked best for me is simply writing lots and lots of narrative from the taciturn character’s perspective, until finally I can get him to crack open for me. Maybe … imaginary interviews with people from the taciturn character’s past? Thanks for the info! I’m experimenting with 2nd person narrative as a variant to internal monologue–so far, it’s been a fun and useful exercise. I tend to fall into perfectionism, so I’m working on giving my character freedom (especially in the drafting stage) without over-analyzing the implication of his every thought and word. My book is centered around a boy named Z and he is a place like the hunger games. there is a female on his team name Andrea and Z clearly likes her but i don’t clearly say he likes her, i use his actions instead.